Receive a warming welcome at Bangkok. Transfer to hotel. Relax a bit and then start your excursion with a visit to Jim Thompson's House and Museum. After exploring the fascinating collection of art and artifacts in the museum, visit the architectural marvel of Bangkok – the Grand Palace. Further, we will head to the major temples of Bangkok including Wat Pho, Wat Arun etc. Return to hotel. Stay overnight. Start a splendid morning with a healthy breakfast. 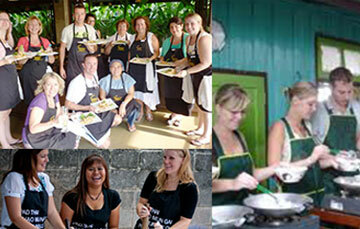 Travel to pay a visit to the Baipai Thai Cooking School to have a unique home-style learning experience. Indulge in interesting activities the rest of the day. Enjoy the Homestay at Amphawa. Travel to Hua Hin early in the morning post-breakfast. Reach Pran Buri to explore the exotic environments of the place. Enjoy the serene ambiance at the beach resorts there. Explore the magnificent mangrove trails at the Pran Buri Forest Park. Further, move towards the Klai Kangwon Palace where the 3 Spanish style mansions will swipe you off your feet with its incredible charm. After spending the evening there, head towards the sizzling Hua Hin Night Market where one can indulge in street food and shopping. Start a splendid morning with a visit in the Market village. Explore the region’s first large scale shopping and entertainment complex. Proceed to indulge in the glorious game of Golfing. 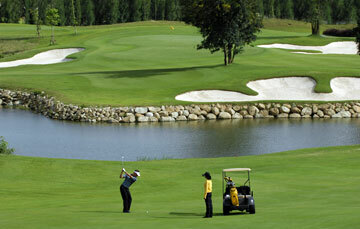 Thailand is among the prominent destinations which are visited for playing golf. The country proudly boasts over 200 high standard golf courses within its territory. Most of them fall under the championship standards. These golf courses are given an exclusive design with modern layout and latest techniques by the well-known Jack Nicklaus, Robert Trent Jones Jr, Pete De Gar Player. Each of the golf courses is well equipped with updated facilities. After the game transfer to airport for departure.